Looking down on Hoover Dam from the bridge that crosses the Colorado River. 03 Jan	This entry was written by maggy342 and published on January 3, 2014 at 8:40 pm. It’s filed under Photography. Bookmark the permalink. Follow any comments here with the RSS feed for this post. 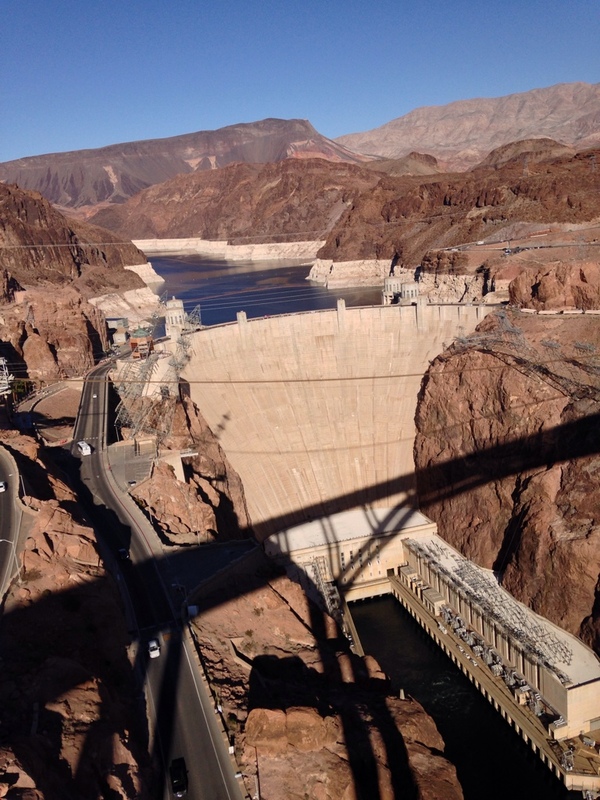 Older: Center of the bridge…Hoover Dam, Arizona and Nevada! Newer: Deserted rail station…a beautiful area to bird watch or walk among egrets, herons and plovers.